We create sustainable landscapes that reconnect you with nature. There is no perfect formula for sustainable landscape design, but one thing is for certain: the choices we make today affect our world tomorrow. 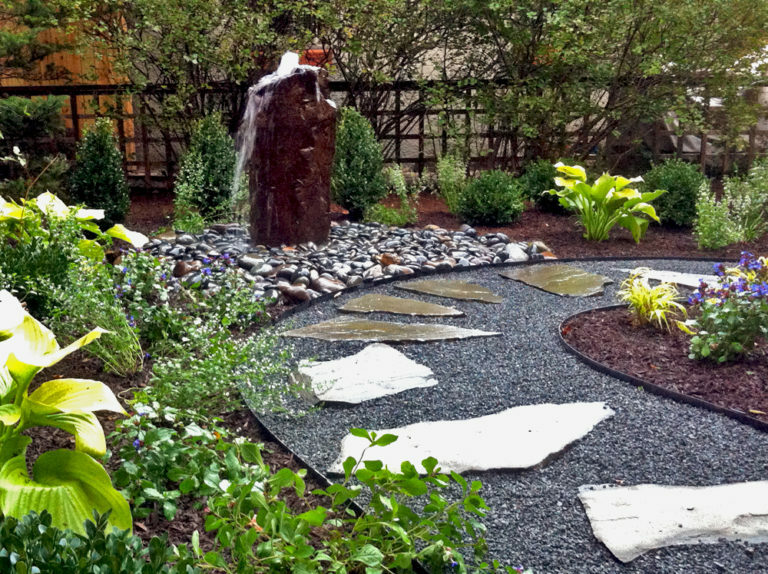 Every organic landscape we design or install is done so in a manner that is respectful to you and to the environment. On a micro level, the environment is your property and the neighborhood around you. We strive to be professional and courteous, minimizing any impact or inconvenience. On a macro level, we are talking about the earth. We source our materials locally, operate efficient equipment whenever possible, and stay on top of the most responsible construction practices to lighten our footprint. The end result is a landscape that looks good and feels good: environmentally responsible, aesthetically stunning, and completely custom to your lifestyle. Proposals are created for less complex projects—such as sod, mulch, and drainage—that can be adequately described for clear understanding in a written document. These do not require drawings or permits of any kind. For more complex projects, a retainer is agreed upon for the development of a concept and budget, followed by a final plan and proposal for installation. This is a commitment to the design process with Greenwise, and allows us to fully explore design options and present a well thought out plan that is both beautiful and functional. For projects that require a long-term plan to guide a phased installation, a design fee is determined. Greenwise then develops concepts, budgets, and phasing options. When the direction and vision of the plan is followed over time, the completed project will come together as cohesive and unified. We are committed to creating a brighter future through sustainable landscape design and lawn care—starting with you.